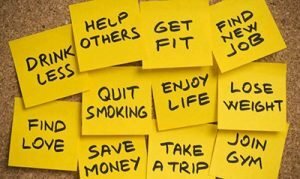 As we enter a New Year many of us have made New Year’s resolutions and like most goal setting we typically ‘bite off more than we can chew.’ Some of these may be familiar! It is about setting realistic goals. As you know KHC has been around for over 10 years and I am pleased to say in that time we have achieved many of our goals and yes we have also fallen short of some of our goals and unfortunately sometimes programs have to be put on hold due to a lack of funding. We had many highlights in 2017 and we mentioned these in our December blog. What is planned for 2018? Strengthen HIV/AIDS care and support services and make a significant contribution to the UNAIDS 90-90-90 targets. To purchase a home for the children with cancer, to enable the organisation to provide hostel services to children for many more years. To increase access to palliative care services for patients with cancer in the Kampala and Wakiso districts. To develop a new strategic plan 2018-2022. Strengthen the capabilities of the Skills Development & Empowerment department to generate more funds through the sale of our merchandise and provide a sustainable income for our clients and KHC. Even though it is only two months into the year we have been very excited to have a number of visitors come and see the work we do and meet the staff behind our success. Mr Kurt Mosgaard, a retired Major General of the Danish army, who is associated with the Rotary Club of Holstebro, Denmark, paid a visit to assess the outcomes of the funding projects that the club supports. We are very proud of the ongoing relationship that we have with them. Spilla Don, (UK based singer ) and his wife Jazmine and friends Esther Watts, and Godfrey Kuraish donated food and items to the New Hope Children’s Hostel. KHC was very grateful for the wonderful donation which enables us to provide the children with ongoing care. We would also like to acknowledge the kindness of Susanna and Angela from Makerere University School of Public Health who donated food for the children at the hostel. The American Cancer Society (ACS) has been a wonderful supporter of our New Hope Children’s hostel by providing funds to renovate the hostel kitchen, the addition of ramps and hand rails for disabled persons, plumbing repairs and also made a significant contribution towards the purchase of a transport van for the hostel. 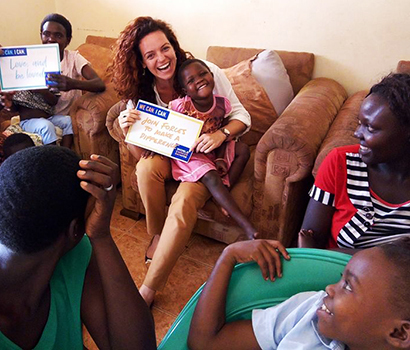 We are grateful for this wonderful support you have given the hostel, which enables us to provide the children with a safe and worry free environment so they can concentrate on their treatment and getting well. As you can see we are truly Blessed by the wonderful individuals and organisations that have contributed to the ongoing operational costs of our work through funding and in kind donations. Thank you for having faith in what we are doing for our community. The growing incidence of non-communicable diseases is now reason to worry especially in the third world countries. In Uganda, every 4 out of 10 deaths is due to a non-communicable disease with these illnesses being fatal if not detected early. KHC joined the rest of the country and the world to celebrate and create awareness about cancer on World Cancer Day on 4 February. The theme for the event was ‘We Can. I Can’ The message was that people need to be better informed about early intervention and how environmental factors (30%) such as alcohol, smoking and poor eating habits increases the risk factors. Statistics from the Cancer Institute show a rise in the number of cancer cases in Uganda with about half of those registered, do not survive the cancer. During the festive season the children at the New Hope hostel received a visit from one of our partner organisations, the Palliative Care Association (APCA). The team led by Dr. Emmanuel Luyirika, donated food, toys, clothes and bed sheets. We are very grateful for this wonderful gesture. Also, the children were excited by a visit from the famous Ugandan singer who won BET Awards, Eddy Kenzo and Denis Onyango, ( a footballer who plays for South African Premier Soccer League Club, Mamelodi Sundown and the Uganda Cranes as a goal keeper and Vice Captain of the Uganda Cranes) and their friends. They generously paid for all the delicious food and drinks at the children’s party. This visit made the children feel very special. Naiga Rehma, one of the clinicians from our Medical department, introduced her fiancé, Lule Ismail at their home in Kyengera. It was a wonderful, colourful celebration of marriage and we wish them a long, happy and healthy life together. As an Executive Director and Co-Founder of a not for profit, one of the biggest challenges is financial certainty. It is difficult to try and ask for funding, or in kind donations from our core supporters. KHC has been very fortunate that we as a community based organisation has such great support and this is borne out by the fact that after 10 years we are still providing care and support to many disadvantaged people. our ability to assist these people is determined by the funds we have in any given year. We have a ‘Duty of Care’ not only to our patients and staff but to our funders. For our funders it is to ensure the financial support they provide achieves their desired outcomes but also fits with our values and goals. It is becoming increasingly important for not for profits to position and demonstrate ‘the worthiness’ of our programs. There is an increasing need for help worldwide and at a time when many countries are pulling back their foreign aid. It is certainly not all doom and gloom for us as we have many long term advocates and financial supporters of what we do so we plan to be around for another 10 years. You have a strong program and a dedicated staff. It is always good to read your updates. Your goals are patient and family centered and reflect the growth of your services. CONGRATULATIONS on your achievements and be assured of prayers that you receive the support and assistance needed now and into the future. Thank you for your great work. Thanks to all staff members for your commitment and love you show for your clients. Keep up your passion in achieving your goals – it always seems impossible until it’s done! And from my personal experience –KHC can do it! Wonderful news. You do a wonderful job at Kawempe Home Care and I am happy that more people recognize this and support you. Thank you for your commitment and hard work. Leave a Reply to Anni Fjord Click here to cancel reply.